René Magritte, the consummate surrealist painter, faced a question of conviction at the age of forty-four, as Europe was overwhelmed by the horrors of World War II. Already in possession of his classic style of painting, honed over the previous two decades, Magritte suddenly began to make paintings that looked almost nothing like his previous work. In this era of instability and upheaval during the German occupation of Belgium, he questioned the role of art and looked for a new direction and new meanings. René Magritte: The Fifth Season focuses on the latter half of Magritte’s career, from approximately 1943 to 1967, a period of remarkable artistic transformation and revitalization. Featuring more than 50 oil paintings and a dozen gouaches, the exhibition will reveal Magritte as an artist attuned to the paradoxes within reality, who subverted our expectations of the world around us. The subtitle “The Fifth Season”—taken from one of Magritte’s paintings made during the war years — evokes an alternative reality both within and outside the accepted conventions of time and space. Through nine immersive galleries the exhibition explores how Magritte (Belgian, 1898–1967) balanced philosophy and fantasy, irony and conviction, to illuminate the gaps between what we see and what we know. 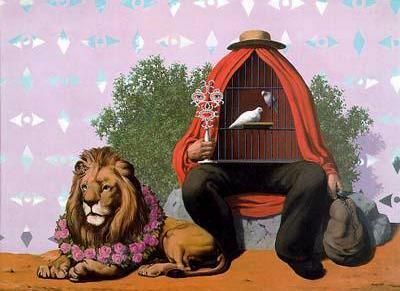 Magritte’s work creates a world beyond rationality, liberated from the traditional understandings of how artworks convey meaning. René Magritte: The Fifth Season will be presented exclusively at the San Francisco Museum of Modern Art (SFMOMA) from May 19 through October 28, 2018. With rarely-seen treasures from museums and private collections around the world, the exhibition will delve into the provocative themes found in Magritte’s paintings from the 1940s through the 1960s, when the artist emerged as a champion of the role of mystery in art. 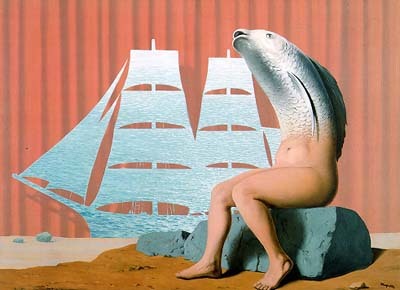 “Magritte’s paintings are unparalleled for their ability to illuminate blind spots in our perception. How do we understand and experience reality? 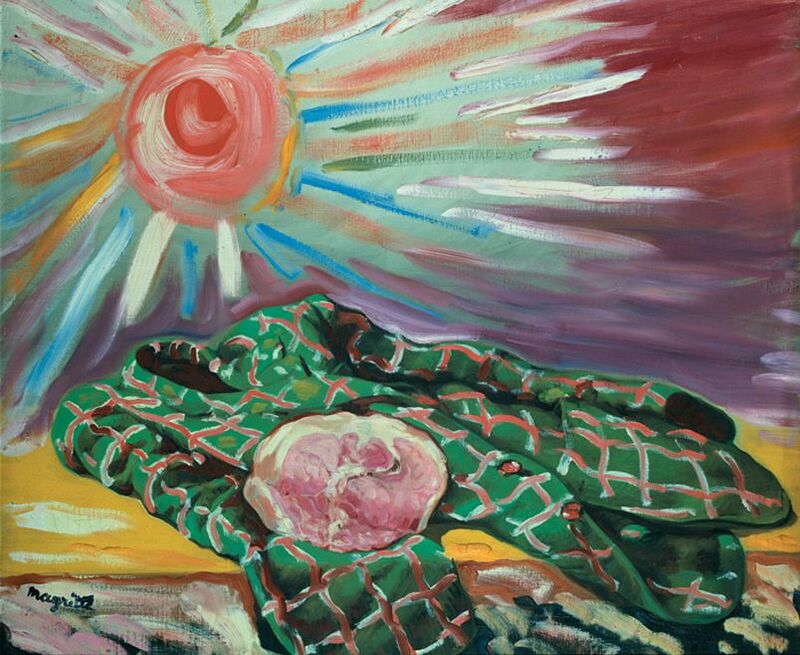 How can painting help us contend with the ambiguities that surround us? Can art reflect these uncertain relationships in the world? Magritte’s work opened up these questions and many more that are still being examined by artists today,” said Caitlin Haskell, associate curator of painting and sculpture at SFMOMA and curator of René Magritte: The Fifth Season. 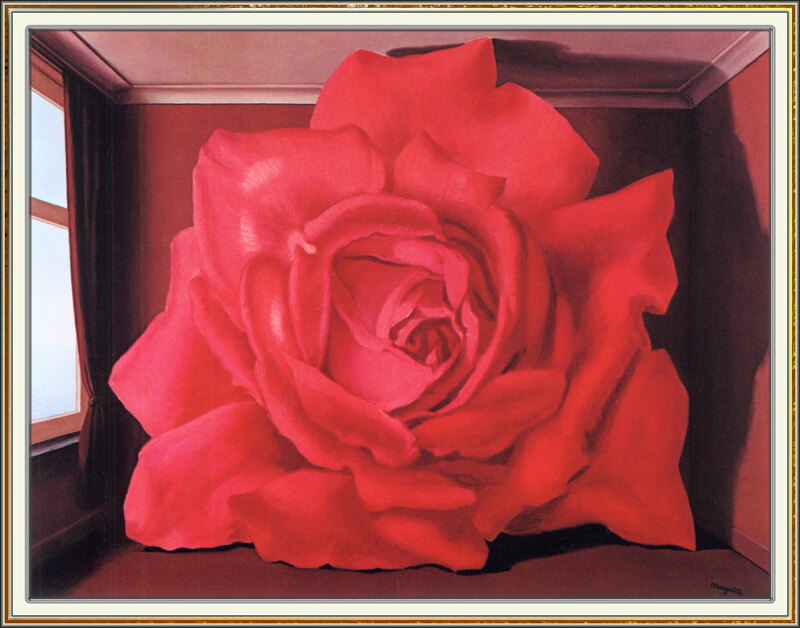 The 1950s found Magritte abandoning these stylistic tropes and returning to his exacting signature style of painting. 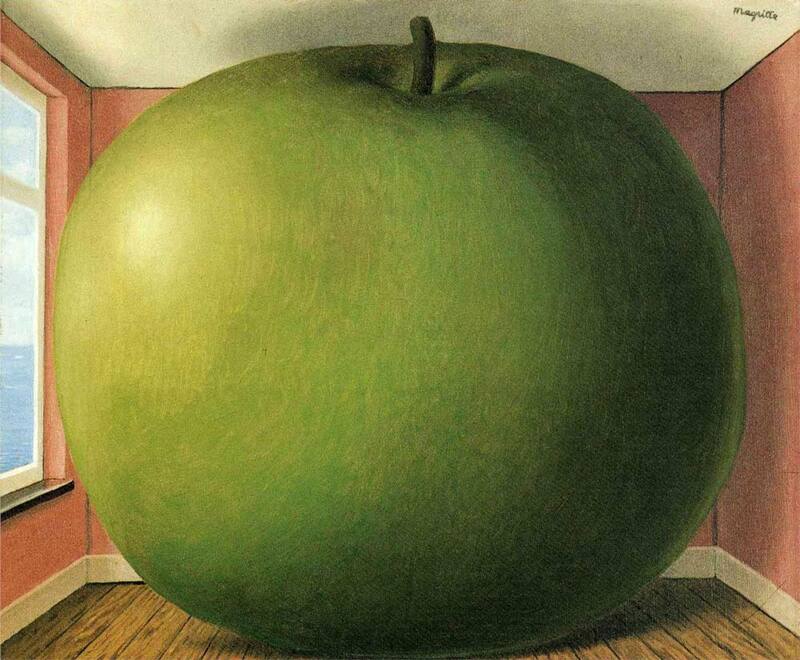 Magritte’s work in this decade is characterized by “hypertrophy,” a jarring alteration of scale among familiar objects to create an unnerving effect. 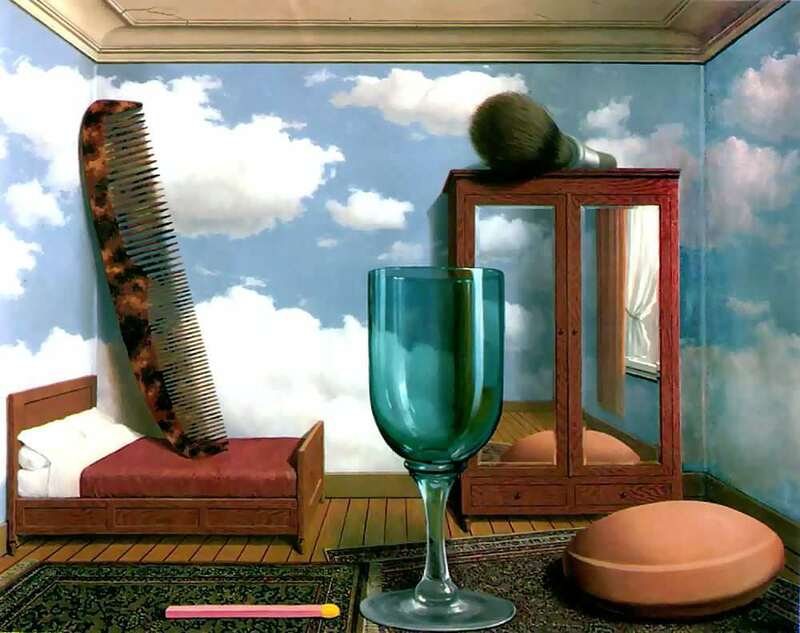 Personal Values (1952) depicts a bedroom framed by cloud-filled walls, with an oversized comb and shaving brush dwarfing the furniture on which they rest. This wonderful and perplexing painting, acquired through a gift of Phyllis C. Wattis, is one of the cornerstones of SFMOMA’s collection of modern art, and 2018 is the 20th anniversary of its acquisition. Personal Values will be joined in the exhibition by four astonishing paintings from this series, making it the most complete presentation of the hypertrophy works to date. in each work a small, everyday object has been enlarged to a grotesque size, filling an entire room from floor to ceiling. 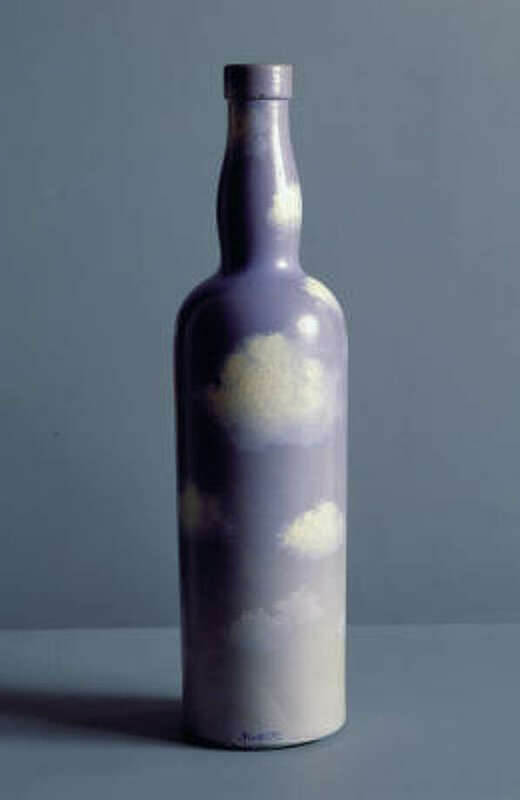 This gallery will also feature examples of Magritte’s painted bottles, including The Curvature of the Universe (1950), a glass vessel that has been meticulously painted to resemble a self-contained, cylindrical sky. 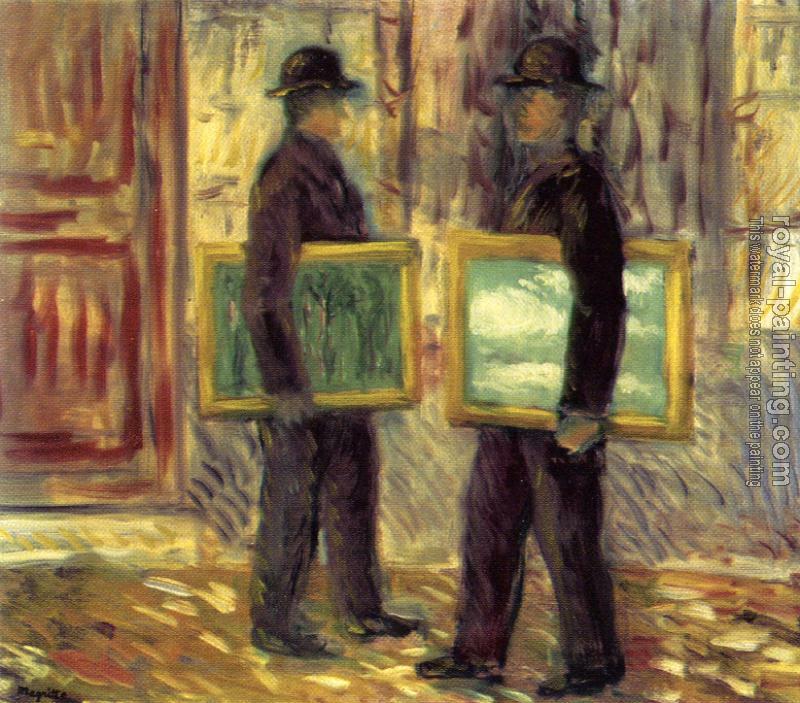 Among Magritte’s best known paintings are the bowler hat figures, a recurring motif in his work in the 1950s. Over the next fifteen years, the motif became so closely associated with the artist to be understood as an alter ego. 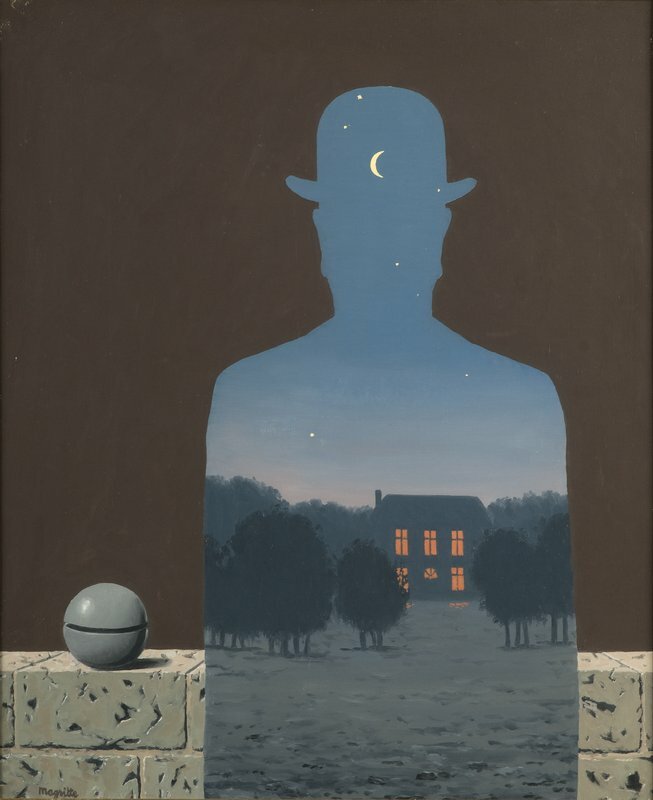 Ultimately, Magritte used the easily recognizable man as a compositional element and a framing device that allowed him to play with the relationships between humans and their surroundings. 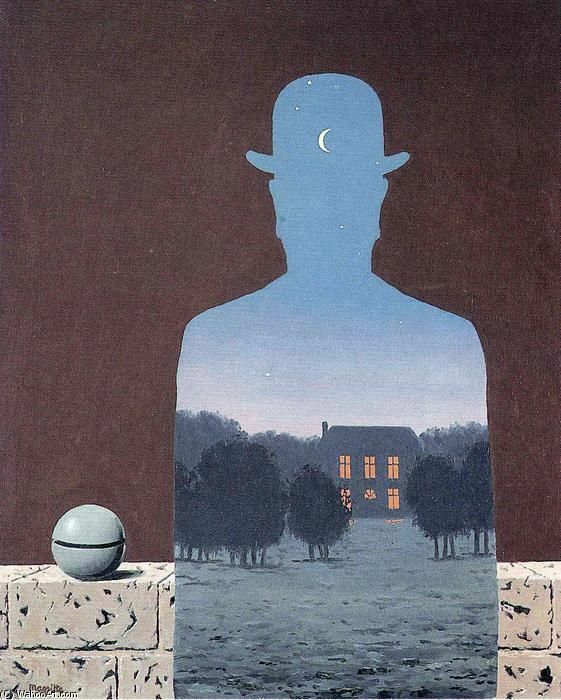 In The Happy Donor (1966), the silhouette of a bowler-hatted man is filled with a twilit landscape and starry sky. The figure may be perceived as a window into an idealized version of the natural world, or, conversely, one may see it as nature obscuring the man. Another highlight of the SFMOMA exhibition will be rarely-seen canvases from The Enchanted Domain (1953), Magritte’s monumental 360-degree panorama and his largest work. 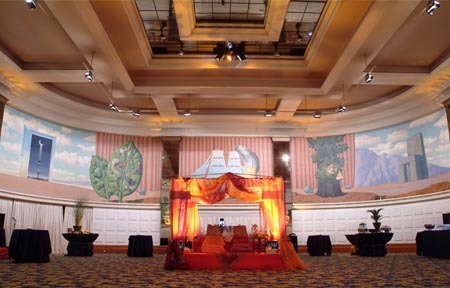 This mural, 236 feet in circumference, was commissioned for a circular room in the Grand Casino in Knokke, Belgium. Magritte created eight oil paintings that established the design of the frieze on a 1:6 scale. The exhibition concludes with Magritte’s embrace of contradictory qualities in paintings of paradoxes. 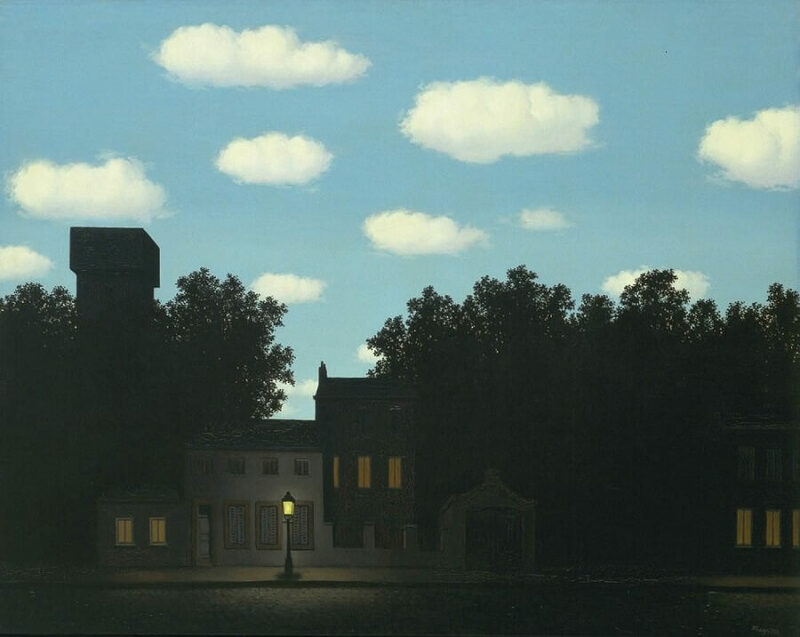 The Dominion of Light is a series of landscapes with contrasting skyscapes, showing day and night existing simultaneously in a single street scene. Magritte painted this subject more than a dozen times from 1949 to 1965, and this exhibition marks the first time that more than three of these luminous scenes will be shown together. In the final gallery, gravity and lightness, solidity and transparency, lose their meanings in paintings of gigantic floating boulders and flying birds that frame the sky. The juxtapositions in these mysterious and meditative works invite a reexamination of our basic assumptions of existence, space and time. Magritte’s powerful paintings—sometimes unsettling and often humorous — draw us into a parallel reality that seems to exist simultaneously with the recognizable world, and challenge the viewer to reconsider what is real. René Magritte: The Fifth Season, which follows the 50th anniversary of Magritte’s death in 2017, builds on SFMOMA’s longstanding relationship with the Magritte Museum in Brussels, Belgium, and was developed in partnership with the Magritte Foundation. René Magritte: The Fifth Season is accompanied by a 148-page catalogue featuring approximately 100 illustrations and essays by Michel Draguet, Clare Elliott, Caitlin Haskell, Katrina Rush, Abigail Solomon-Godeau, and Sandra Zalman. The catalogue is edited by Caitlin Haskell and published by SFMOMA in association with D.A.P./Distributed Art Publishers, Inc., New York.